while I was home convalescing from my ailments, I decided to try some simple projects but I just never got around to posting them on my blog. One of them was making small pretty arrangements out of Starbucks painted bottles. Now, I don't drink coffee, but here's where freecycle.org came in handy: I simply put out a request for someone who drinks those Starbucks frappuccinos to save the empty glass bottles for me and I'd be glad to pick them up. First I took all my bottles and soaked them overnight in warm, soapy water to remove all traces of the coffee and to soften the labels. I did this in my kitchen sink. The next morning I peeled off all the labels and scrubbed off any adhesive residue left over. Don't worry too much about the residue because you can cover it up later. I dried them inside and out with a dishcloth and then let them air dry for several hours. After they were dry, I simply put down several pieces of newspaper and got a plastic cup and poured some paint (french white) into it. I then poured a little bit into each dry glass bottle and swirled it around very well, taking care to coat the entire inside of the bottle. I turned it upside down over the plastic cup to drip down any left over paint back into the cup and tap, tap, tap to make sure there are no drips. Set your glass bottle aside to dry. Aren't they cute even like this? I simply took some lace ribbon, some silk flowers, and some ribbon and other embellishments and hot glued them on the bottles. You can even put real flowers in them I just didn't have them on hand. Can you picture these as table markers at a wedding with a cute little chalkboard tag on them? Or on a bed side table with real flowers in a guest room on a pretty silver tray? So many uses for these pretty glass bottles. I had so much fun painting these I also made some chalkboard ones. So many cool uses for these little glass bottles. I am planning on getting more from this lady and just washing them and wrapping some cute labels on the outside filling them with milk, and sticking colorful striped straws and having a milk and cookies party for my kids! What kind of uses can you think of for these fun little bottles? What a cute idea! And I love that you used freecycle to get the bottles! AWESOME. Yea Freecycle! I have yet to get goods from their...someone always beats me to it! New GFC follower from the blog hops! Stop on by when you get a chance! Patty~ This is a CUTE IDEA! Please share over at Dumpster Diva! I am hosting my 2nd linky party and your INVITED! Hello! Thank you so much for stopping by! I am following you back. Have a fantastic day! Hi! Caught you over at SITS girls...great to find a new blog to check out! Such pretty jars...good job! Darling idea! Love your wrapped books too--beautiful vignettes. Hi! I'm dropping in from Posh's hop and am your latest follower. Lovely to met you, nice neighbor...I'm from Louisiana. *waves* You've got a lovely blog with some really clever ideas! How cute! From the title of this blog, I assumed it was in Spanish (which I can't read any too good), so I'm glad I took a chance and visited. So soooo cute! And you cant even tell that they are starbucks glasses! So charming and cute~ Thanks so much for linking up at Feathered Nest Friday ! Those really are so pretty! Thanks for stopping by my blog...I am now following you back :). Thanks for your comment. I can't seem to reply to your comment as your profile is set to no reply. 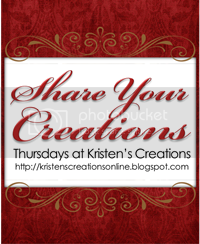 Can you email me your contact info and your blog address? I'd love to come visit you.